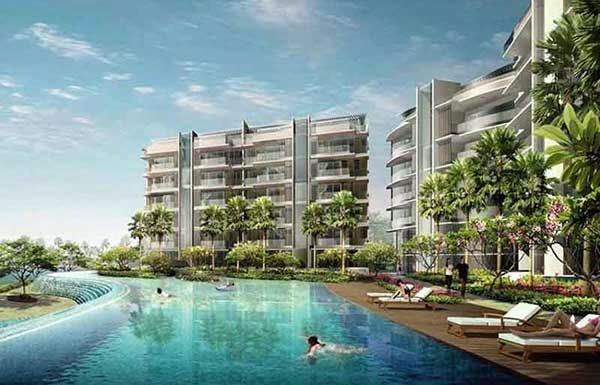 Residences @ W is a breathtaking property development by Cityview Place Holdings Pte Ltd right at the heart of the refreshing Ocean Way, Sentosa Cove at District 4 Singapore. This grand property structure offers the most luxurious residential condominium in 7 blocks of 6-story building. Each space is equipped with high-end interior and exterior furnishings to provide you with the most lavish lifestyle that only a resort-like property could offer. Residences @W Sentosa Cove offers the stylish residential condominium at a price that fits the grandiose features of the property. 2 RM with the size of 1227-1259 sqft is priced at 3.8m ; 3RM at 1625-1755 sqft is priced at 4.6x-4.8xm; 4RM with 2067-2131 sqft is priced at 6.7x-6.8xm while the Penthouses has a space of 2217-6297 sqft with no price details as of yet. Grab one now. A property at Residences @ W is an investment that is truly worth owning for! View Residences @ W Sentosa Cove Floor Plan and brochure here.